As you can tell from the date stamp I did this cake in “05. This brides theme was nature, anything you might see growing in a garden .She wanted orchids and ferns in shades of green.The ferns in many shapes I made of fondant. 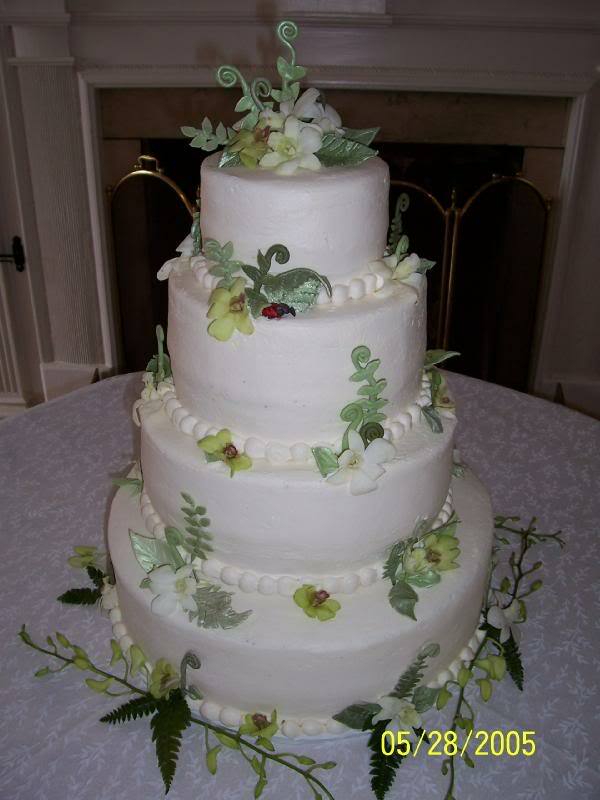 I used small fresh orchid blossoms in among the ferns on the tiers and sprays of orchids around the bottom tier. AND if you look closely I also added a fondant “lady bug” on one of the tiers for good luck.